The glutamine synthetase- glutamate synthase system requires use of an ATP molecule as well as reducing power. 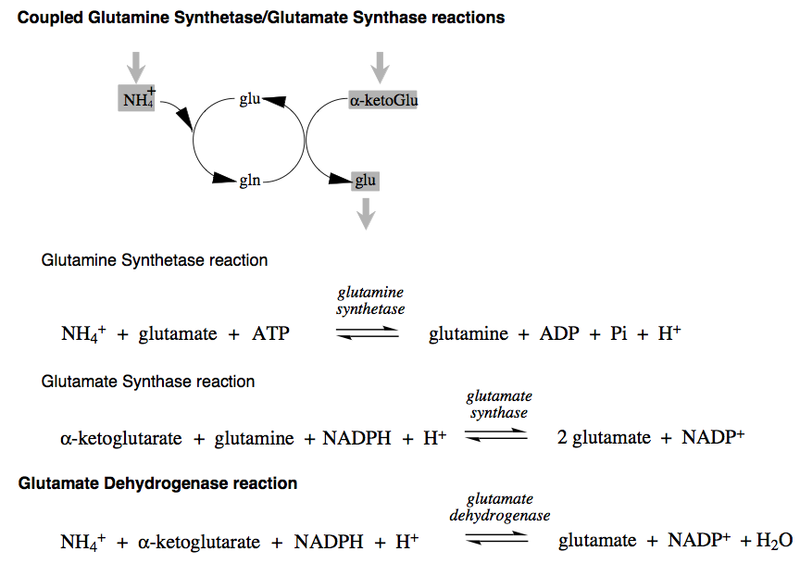 Although it is energy intensive compared with glutamine synthase, the Km of glutamine synthetase is much lower than that of glutamate dehydrogenase. When NH3 is scarce, the additional ATP investment is worthwhile. Try as I might, I can't find anything about glutamine synthase. Searches online seem to only return results for glutamine synthetase. I was wondering if this is a mistake in my notes? If so, I can only think that this should be 'glutamate dehydrogenase', in which case the statement is about comparing the method used by animals and fungi (which use glutamate dehydrogenase to fix nitrogen via a Schiff base) compared with plants and other microorganisms (which use the glutamine synthetase glutamate synthase method). This is my first exposure to learning about nitrogen fixation, so I would very much are coated any clarification. Also, I was wondering what the general difference is between a 'synthase' enzyme and 'synthetase', if there is one. Probably a mistake in your notes, or in the lecture notes for the class, but not a very important error in either case aside from the confusion it has caused you. See the wikipedia article on Synthase and on wikipedia article on Ligase for a note on the terminology: historically synthetases use ATP, synthases do not, but this terminology is not adhered to strictly, and the current standard is that the terms are essentially synonymous; in my experience, however, a particular nomenclature dominates the literature even if the synonym is technically correct. Class 6. Ligases. Ligases are enzymes catalysing the joining together of two molecules coupled with the hydrolysis of a diphosphate bond in ATP or a similar triphosphate. The systematic names are formed on the system X:Y ligase (ADP-forming). In earlier editions of the list the term synthetase has been used for the common names. 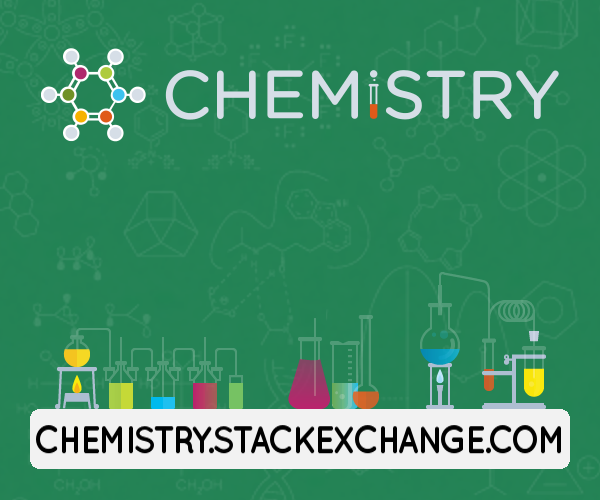 Many authors have been confused by the use of the terms synthetase (used only for Group 6) and synthase (used throughout the list when it is desired to emphasis the synthetic nature of the reaction). Consequently NC-IUB decided in 1983 to abandon the use of synthetase for common names, and to replace them with names of the type X-Y ligase. In a few cases in Group 6, where the reaction is more complex or there is a common name for the product, a synthase name is used (e.g. EC 6.3.2.11 and EC 6.3.5.1). It is recommended that if the term synthetase is used by authors, it should continue to be restricted to the ligase group. But the old nomenclature dies hard. As regards your first question, this is an obvious mistake, as others have pointed out. For the record, I post diagrams from my own lectures of the two alternative methods of aminating ketoacids (oxo-acids). Not the answer you're looking for? Browse other questions tagged plant-physiology enzymes amino-acids biosynthesis or ask your own question.